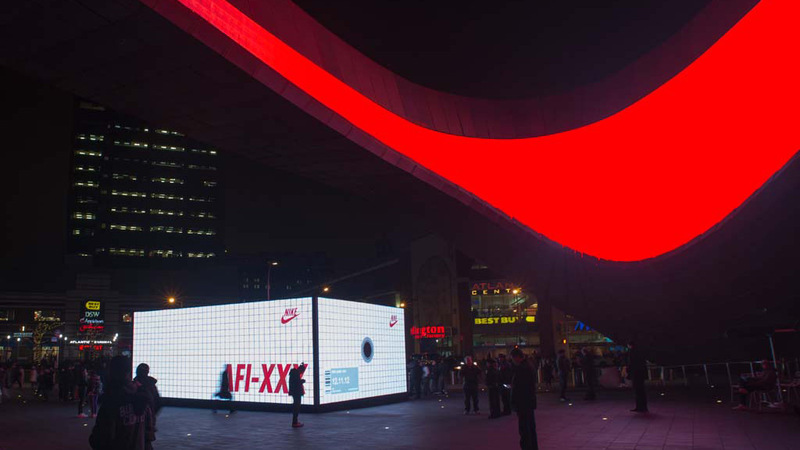 On Dec. 11th 2012 Nike celebrated the 30th anniversary of the Nike Air Force 1 and the release of the new Nike Lunar Force 1. 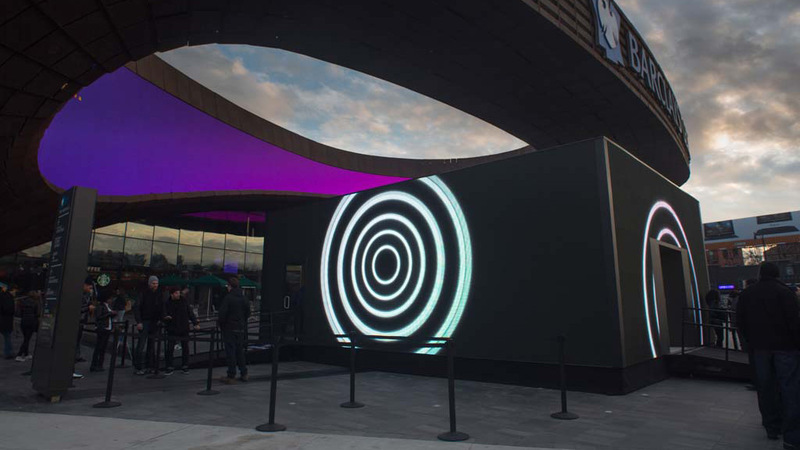 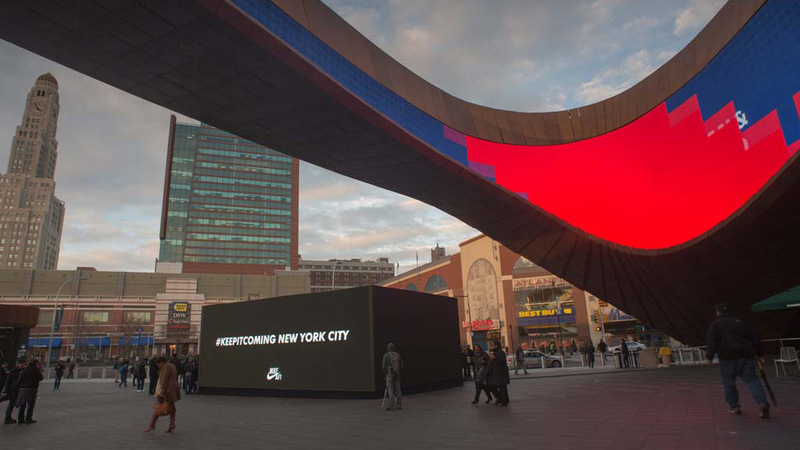 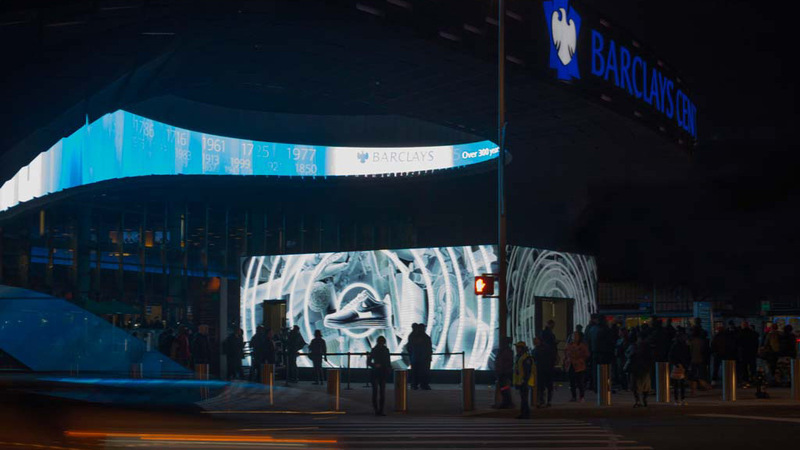 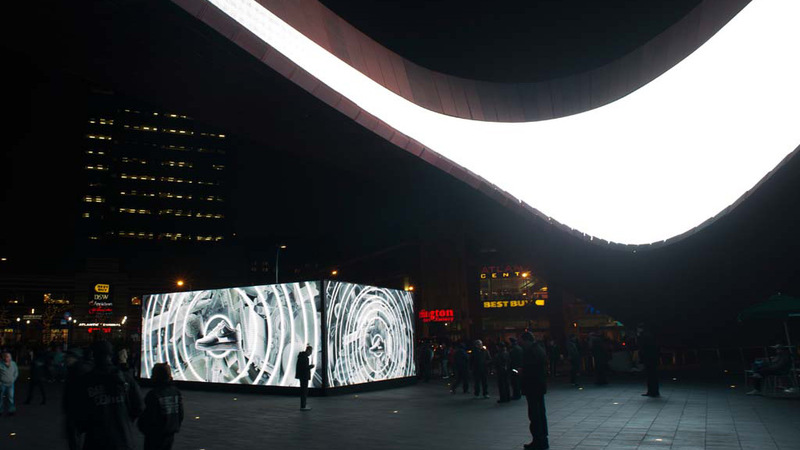 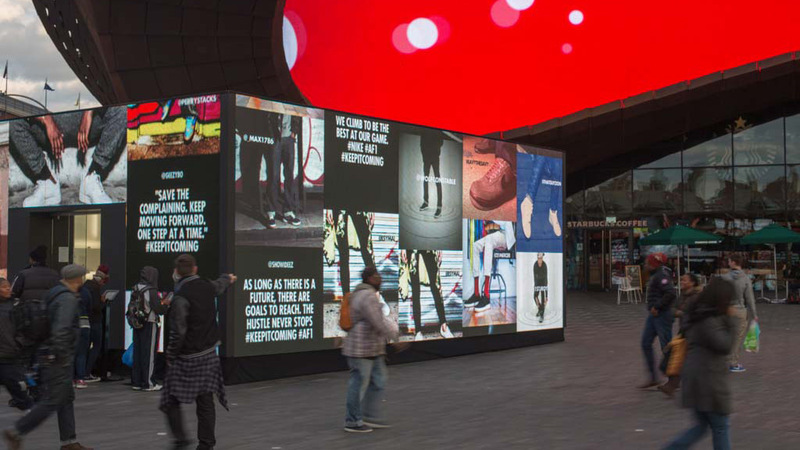 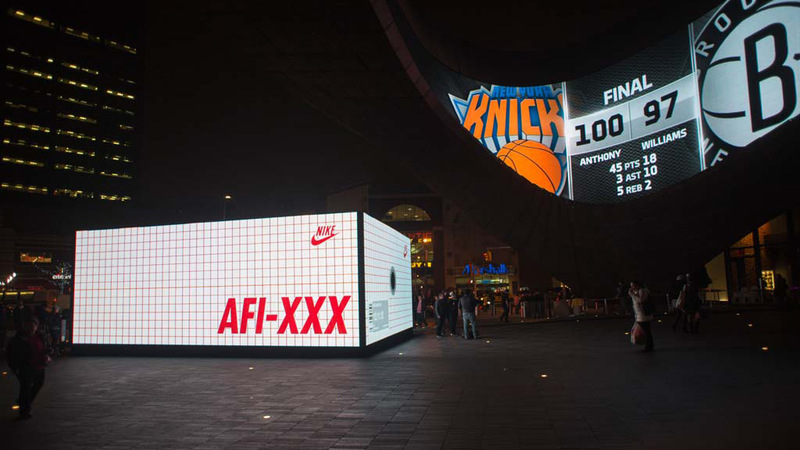 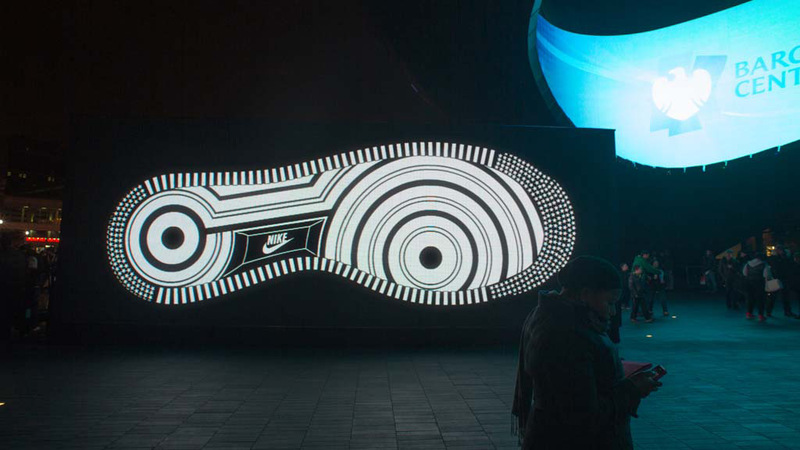 Eight years after the White Dunk Shoebox experience, Sartoria came up with with a grand-scale reproduction of the LF1 shoebox, fully made of interactive LED panels and installed in front of the Barclays Center, the landmark sports and entertainment arena in Brooklyn, New York. 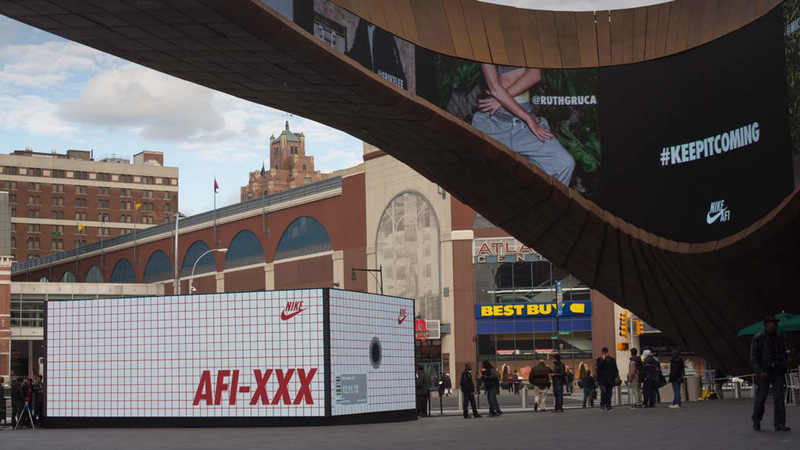 Nike Guests were invited to bring their best pair of AF1’s on, be photographed inside the shoebox with their portraits appearing in real-time outside the venue. 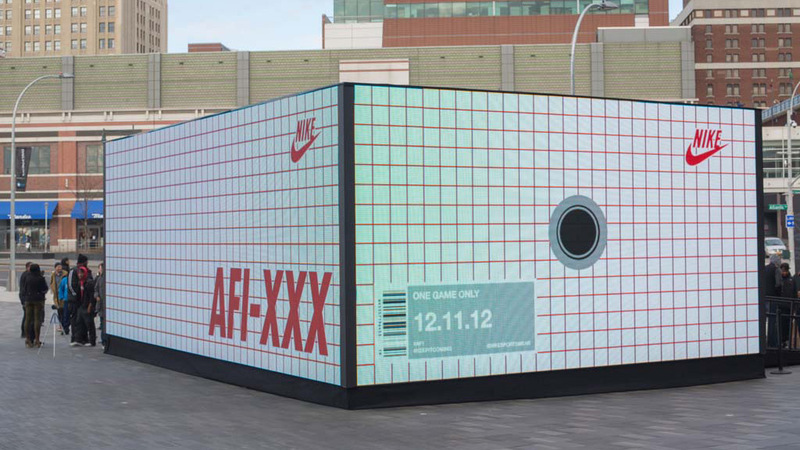 Still changing the game after 30 years, all “#keepitcoming” contents were then spread across all major social networks, fuelling once more the global AF1 community with attitude and innovation.